Cowboy clamping clampdown | What Car? The Government has taken the first steps in its planned crackdown on rogue parking firms and introduced tough new rules that govern who can access drivers' details from the DVLA. In the past, any private company could request the details of drivers who had parked illegally on their land and failed to respond to a parking ticket. However, the new rules dictate that only members of an Accredited Trade Association can do so. This measure is just part of Government plans to radically overhaul the laws governing parking enforcement, and it will publish an action plan in the autumn. 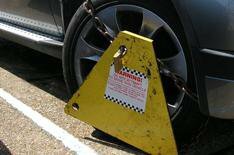 It is considering a compulsory licensing system for clamping firms, as well as looking at issues such as excessive penalties for releasing clamped cars, impounding cars unreasonably quickly after being clamped, a lack of signs warning drivers of possible clamping and inadequate processes for addressing drivers' complaints.